As we all know that everyone makes mistakes because no one is perfect. Everyone learns from mistakes and tries to never make the same mistake twice in life. WordPress is an admirable content management system and covers almost 15.5% worldwide websites. So, it is vital to know what to do and what not to do while using it. You might be a good WordPress developer and you have detailed understanding about this platform. But surely, you made some mistakes on WordPress, which you still ignore. It is a human nature to commit mistakes. Mistakes are natural and it is hard to avoid them, especially when technology is complicated and keep changing time-to-time. The great thing is that to learn from your own mistakes, so that it will never repeat in your whole life. So, save your valuable time and money because here we are showcasing all common mistakes, which you need to avoid for excellent website design. It will help you to never turn alive same mistakes in the future. Hopefully, beginner will use this guide to avoid WordPress common mistakes. 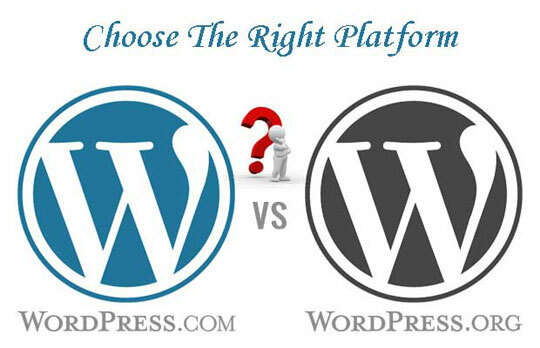 There is a big confusion to differentiate self-hosted WordPress and Free WordPress.com. Sometimes customers just want to create a simple and personal blog, but they are outraged by the repetitive cost to manage a self-hosted WordPress site. Actually, this is one of huge mistakes, which is seen among users. If you want to start a self-hosted WordPress blog, then you need to take web hosting and domain. However, lots of domain providers upsell other services, which are useless for your website. Some useless services are: Private registration, 5 year registration, branded emails, SSL and many more. It can restrain to the small business owners. You don’t take any private registration because they can transfer confidential information of your company to others. And, for the branded email you can take free service of Google Web Apps. There is no sense to pay for 5 years registration. You can probably save your money, if you ignore these useless services. All we made mistakes of not creating a WordPress backup file. We realize this only when we fall in hole or really needed the backup for rescue. 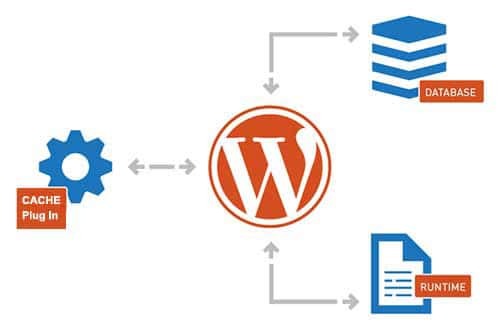 It is advisable for you to create an automatic backup file in WordPress. We feel afraid for updates. Sometimes, we ignore to upgrade site because we are not managing site properly. It can bite you, if your site gets hacked and found any security vulnerability. It takes hardly one or two click to upgrade site. Favicons are small icons that appear to your page title in the browser window. It can be your website identity card and mostly beginners completely ignore these icons. WordPress is one of the popular CMS to categories products and services, but generally people do mistakes in category. Too much and complex categories can confuse and influence users to leave the webpage of your website. Mostly beginners think that categories make ease for users, this is correct, but a number of categories affect in a negative manner. Try to learn more and use proper structure of categories to stay hold customer for a long time on website. When people download themes from bad resources, then they report for infested site from malicious links.You need to download WordPress themes from the official website WordPress.org or trusted providers. Many beginner don’t know about cache, so they don’t install it. Caching is used to speed up site, prevent from downtime, whenever you get more traffic. A default tagline “Just Another Blog” appears to every WordPress install and people forget to remove this tagline. Google analytics allow you to see a number of insights that you need to improve. You can sign up with Google Webmaster Tools as well. David Mayer is a web developer, who is working at CSSChopper. He has created a number of sites through WordPress. He shares his keen ideas of designing website via blogs as well. Thank you so much Souvik to share such a valuable article to us. Most of time we i was facing such kind of problems. thank you so much. keep do post like this.